Wow. I’ve done it! 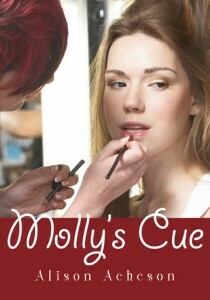 I’ve learned something about iMovie, and I’ve made a trailer for my new novel, Molly’s Cue, out in May. I think this should be the new way to create those horrible “book reviews” we had to do as kids in school. I always loathed doing them; they ruined the reading experience for me. But thinking in terms of visuals/symbols, and linking them…now that might be fun! The toughest part–but in many ways, most enjoyable–was finding images/photos that connected with the story and the characters. Then creating brief pieces of text. They say that you know whether or not a book can be turned into a decent film if you can make a visually-successful trailer. Let’s see what you can come up with! This entry was posted in Books, Uncategorized, Writing and tagged acting, book reviews, book trailers, Coteau books, highschool drama, iMovie, Molly's Cue, ventriloquism by admin. Bookmark the permalink.